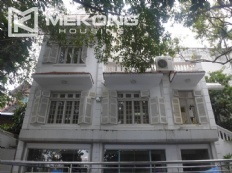 Full furnished villa with 4 bedrooms for rent in C block, Ciputra Hanoi. 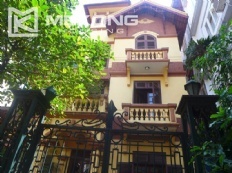 Total land is 126 sqm, composed 3 floors with a nice living room, 4 bedrooms, 4 bathroom, and kitchen. It has front yard, back yard, garage. Rental price is just $1200 per month. Please contact me via 0936 670 899 or huong@bdsmekong.vn for more information. The villa has 360 sqm land area and 500 sqm living area with front yard, back yard and nice sidewalk surrounding the villa. 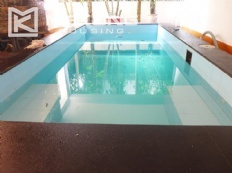 This rental villa is composed of 5 bedrooms, 4 bathrooms with walk-in shower and bathtub, a spacious living room, a well equipped kitchen, large balconies with nice view of Ciputra landscape. 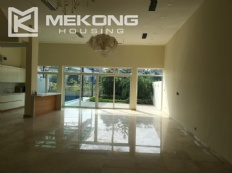 Total land area of 500 sqm with spacious living space, it has a nice sized living room, 7 bedrooms with cozy feel, 6 bathrooms with modern fitting, and an open kitchen. 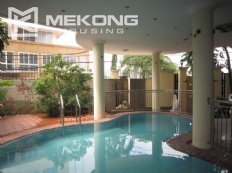 The rental villa has front yard, spacious back yard with great view, garage for car parking, outdoor swimming pool. The villa is fully furnished with high standard furniture and equipment. The villas, set in a tranquil landscape and designed to the highest quality standards, offer generous living space, including balconies, very close to golf course.